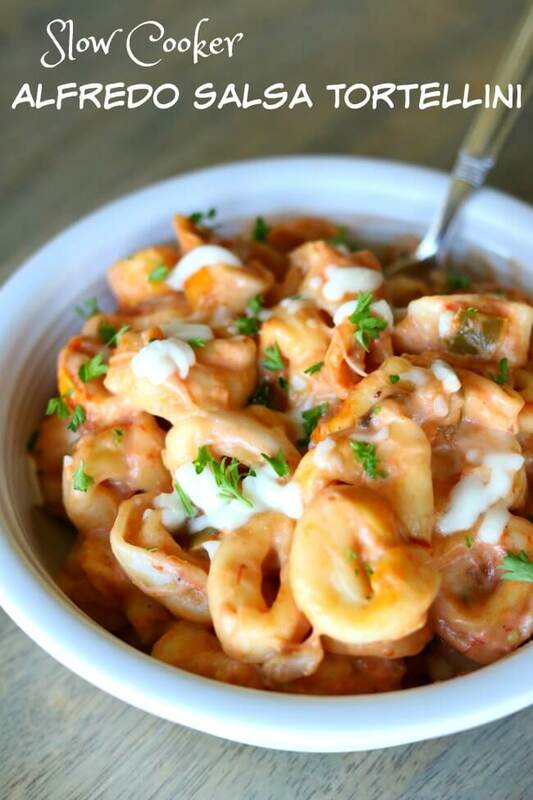 3-Ingredient Slow Cooker Alfredo Salsa Tortellini–creamy and slightly spicy cheesy tortellini prepared in about one minute using your slow cooker. A long time ago I ate a pasta dish at a church potluck that was absolutely delicious. I asked the woman who brought it what the recipe was. She embarrassingly told me that it was just a box of penne pasta, a jar of salsa, a jar of Alfredo sauce and some cooked and cubed chicken. 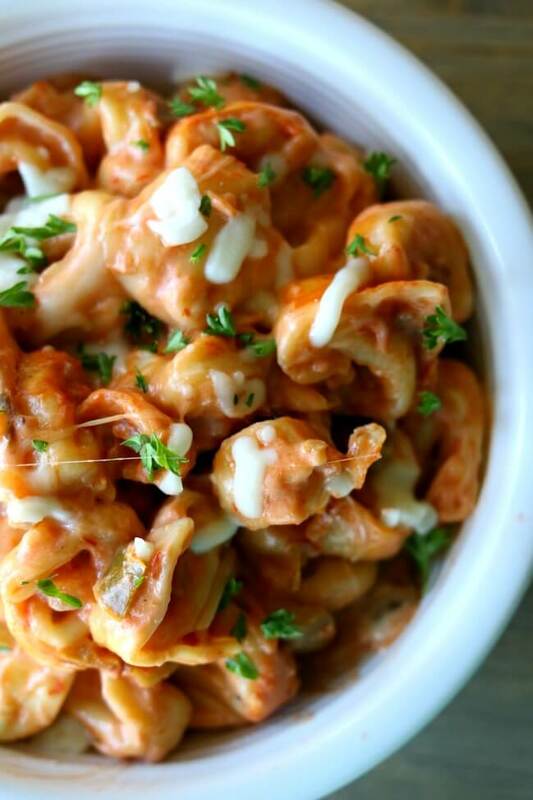 You may be thinking salsa and Alfredo sauce sound weird together. But I’m here to tell you that it is an amazing combination. 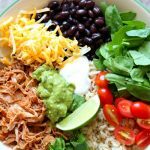 If you’re searching for an easy recipe that can be put together in minutes I have one for you today. It’s just a bag of frozen tortellini, Alfredo sauce and salsa. And maybe some cheese if you have it on hand. Oh and if you don’t want a meatless meal you can add in some cooked chicken. If you use a mild salsa this recipe is perfect for kids. I threw everything into my slow cooker for a couple of hours on high and it was ready in time for dinner. 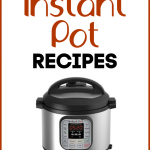 For this recipe I would recommend using a 3-quart slow cooker. I like the smaller oval 3-quart for this amount of Slow Cooker Alfredo Salsa Tortellini because ideally you want your slow cooker to be filled 2/3 to 3/4 full. If your slow cooker is less than half full then the food will cook really fast. And that kind of defeats the purpose of “slow” cooking. This post contains affiliate links for Amazon. Each time you purchase something from Amazon that I’ve linked to I get a few pennies. Thanks so much for supporting my blog! 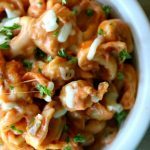 Slow Cooker Alfredo Salsa Tortellini–creamy and slightly spicy cheesy tortellini prepared in about one minute using your slow cooker. 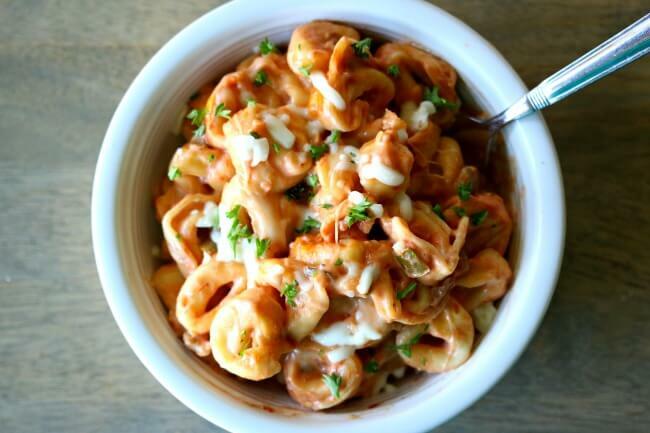 Combine tortellini, salsa and Alfredo sauce in slow cooker. Cover and cook on HIGH for 2 hours or on LOW for 3-4 hours. Gently stir in mozzarella cheese and serve. 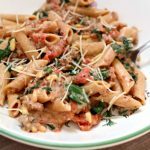 I used a 3 quart slow cooker for this recipe. 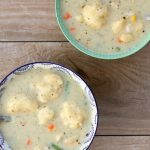 How could I make this in the instant pot? When do you put the chicken in it? 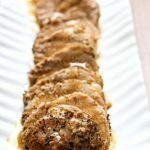 Hi Bec, you can cut up chicken breasts into bite size pieces and add them in at the beginning. They can be raw or cooked. Another other suggestions than tortellini? I am gluten free! You could make this on the stove top with some gluten free pasta. Cook the pasta according to package directions and then drain the water. Stir in the alfredo and picante and you’re set. If you want chicken with it brown some in a pan on the stove. 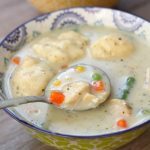 Does the Tortellini need to be frozen? I haven’t tried it any other way but I’m assuming it would work. I made tortellini the very first time the other night, I normally buy the frozen ravioli and one pack of the ravioli USUALLY feeds the three of us, But when I started boiling the tortellini I noticed it really doesn’t swell like the ravioli does so I ended up using the two packs, thank God I had bought two instead of ONE!! So for this recipe, would you double it?? How many does this typically feed?? Now mine is two grown men that LOVE to eat!! Lol so I fix rather large meals!! Thanks in advance oh!! And what would you serve with this besides a salad? This recipe will easily serve 4 adults. The tortellini puffs up. I would serve it with some broccoli or maybe add a rotisserie chicken to serve with it. Good luck!